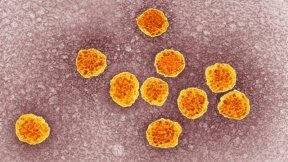 Health officials are reporting a dramatic increase in the amount of new hepatitis C cases detected in the United States between 2010 and 2015, despite available treatments and high cure rates for the disease. The report, released Thursday by the Centers for Disease Control and Prevention (CDC), points to a spike in heroin use and other injectable drugs that potentially fueled the 300 percent increase in cases. According to the CDC report, the national reported rate of hepatitis C was 0.8 per 100,000 persons in 2015, with nearly 34,000 new infections. In that same year, 17 states exceeded the national average. The report was compiled through a state-by-state analysis of reported cases, as well as a review of laws related to access to clean needles for drug users and levels of restriction on Medicaid access to treatments, Reuters reported. Treatments for hepatitis C, including those available from Gilead Sciences, AbbVie and others, have a cure rate of over 95 percent, but, according to the report, at least 24 states require proof of sobriety to receive available treatments through Medicaid. 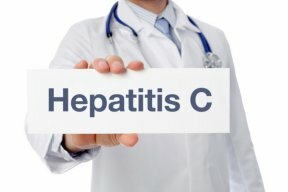 To reduce the number of deaths related to hepatitis C, the CDC recommends making clean syringes available and ridding of the Medicaid restrictions, as well as formulating preventative laws. According to Reuters, the report noted that 18 states have no laws pertaining to prevention in place, while Maine, Nevada and Utah had the most comprehensive programs including syringe exchange without limitations. Hepatitis C is inflammation of the liver that can be caused by drug use, toxins, heavy alcohol use, some diseases or bacterial and viral infections. Hepatitis C is a contagious disease that can range from mild to severe and causes fever, fatigue, loss of appetite, nausea, vomiting, abdominal pain, jaundice and other painful symptoms.